Sometime in Iran we should re-invent the wheel! Unexpectedly I understood that none of my “bit.ly” Short URL don’t work because this site is blocked by Iran government. For a while I used goo.gl ,but bit.ly gives customers more professional services like hosted domain name. Finally I decided to set my personal URL Shortener, I chose sml.yt for domain name and installed specified software for it. Hope everything be OK now. 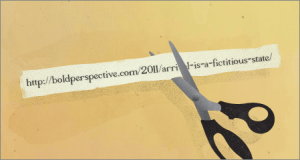 Why we should use an URL Shortener? 6.They make Unicode links usable.